The new kid in the block is open for business. 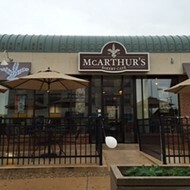 McArthurs Bakery Cafe (6630 Delmar Blvd.) 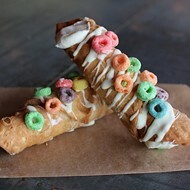 opened its doors in the Delmar Loop for the first time this morning at 6 a.m. — and by 8 a.m., the place was already buzzing, with an early-morning crowd wolfing down free samples of monkey bread and cinnamon rolls. Both were delicious. 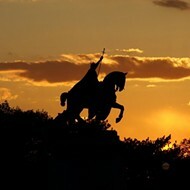 The opening comes less than five months after Saint Louis Bread Co. abandoned the 4,800-square-foot site. Bread Co. had resisted pleas from University City officials and even an online petition begging it not to abandon the Loop, which has suffered from a surfeit of traffic while trolley tracks are under construction. 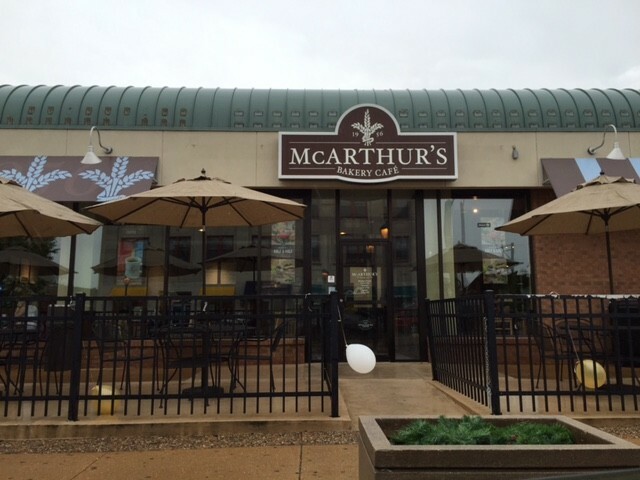 But McArthurs seems likely to win over anyone who mourned the loss of the Loop's largest cafe/coffee shop. 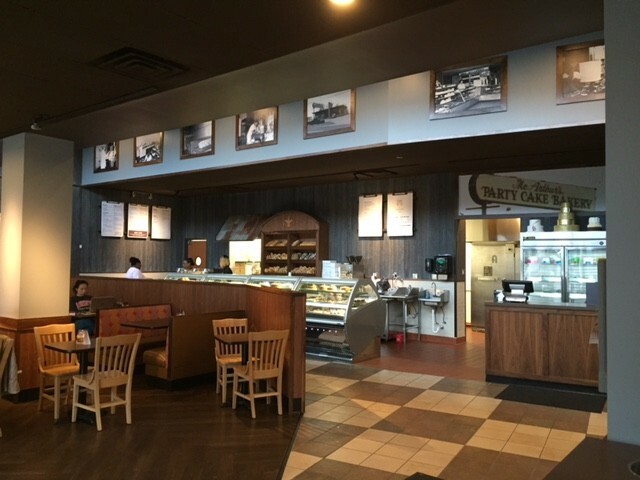 There's a similar vibe, with a friendly staff that keeps orders moving quickly, and a similar array of baked goods and casual lunch fare. You can even do a "half and half" instead of Bread Co.'s signature "you pick two." Unfortunately for Coca-Cola lovers, there's even a similar soft drink situation: This is a Pepsi restaurant. The coffee is by Chicago-based Intelligentsia, which should keep java drinkers happy. 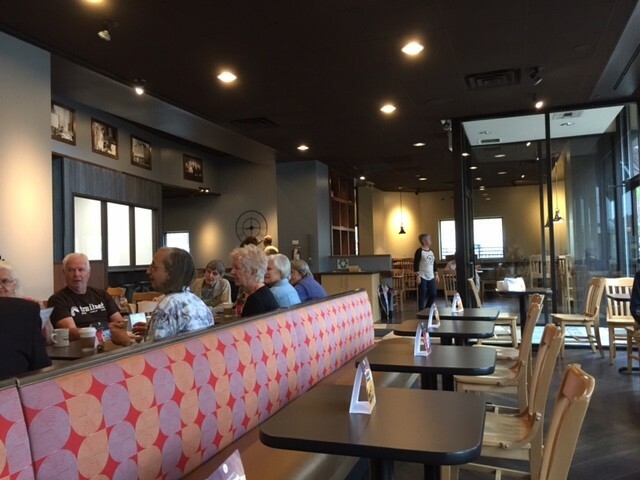 The place has a few cosmetic changes since its days as a Bread Co.
As it Bread Co., there are couches for lingering and tables for eating quickly. There's also a sizable conference room near the back with glassed-in doors — perfect for a private meeting. This is the fourth location for McArthurs. The Kirkwood flagship opened 60 years ago; more recent additions are in Chesterfield and south county.